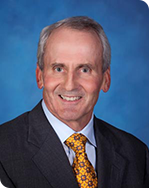 Through years of experience and achievement, Dr. Snyder has proven himself to be among the best orthopedic surgeons in Virginia. His advocacy for efficient and effective medical care combined with adherence to quality assurance techniques sets him apart from his peers. 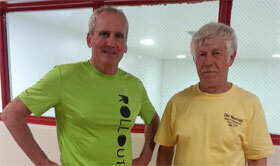 Dr Snyder and fellow handball player Bill Potter at a recent tournament. Dr Snyder performed bilateral partial knee replacements on Bill about 3 years ago to keep him in the game. If your mobility has been reduced by knee osteoarthritis, and you miss participating in activities you love, knee replacement surgery may be right for you. Osteoarthritis is the most common form of arthritis, affecting tens of millions of people worldwide. It is a degenerative joint disease characterized by the breakdown and eventual loss of joint cartilage. Fill out the form below to reach Dr. Snyder online, or call (757) 769-8041 for immediate assistance. The Orthopaedic & Spine Center (OSC) in Newport News, Virginia, is a leading Knee clinic in the Virginia area. The center’s operating philosophy is to use state-of-the-art medical technology to bring old-fashioned care and comfort to its ever-growing list of satisfied patients.